At the night of his election in 2008 Obama promised a puppet to his daughters. They were supposed to call it “Sparkles”. 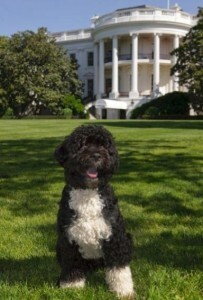 Bo, a 6-month-old Portuguese water dog, was given to Malia and Sasha Obama by Sen. Edward Kennedy later on.